High Voltage - monemades Webseite! 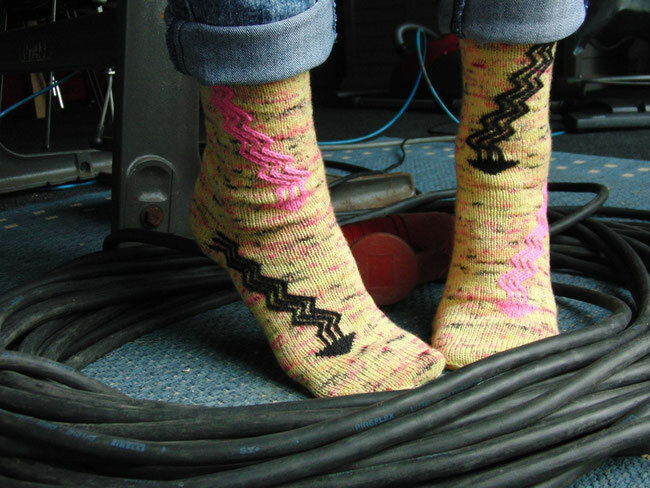 The idea for High Voltage and for using vertical stranding to create arrows came actually from the color of a yarn in my stash, because the yellow reminded me of the high voltage warning signs. 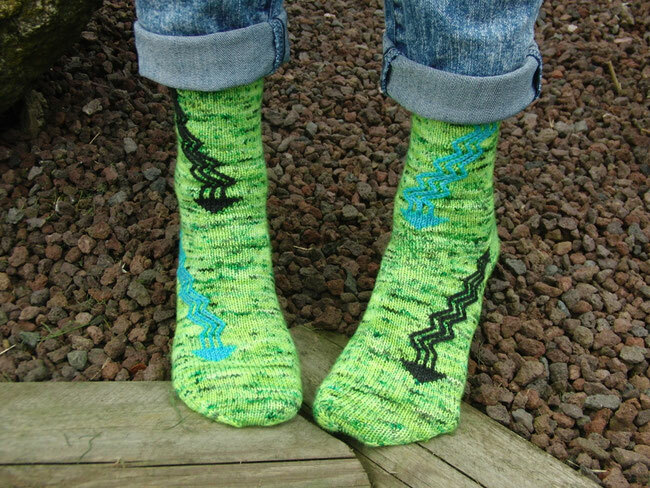 Unlike the sign, I worked the arrows using two contrast colors, in reversed order for the left and right sock. But possibilities are endless. Each arrow could be worked in a different color or why not make a colorful arrow using another yarn for each strand? 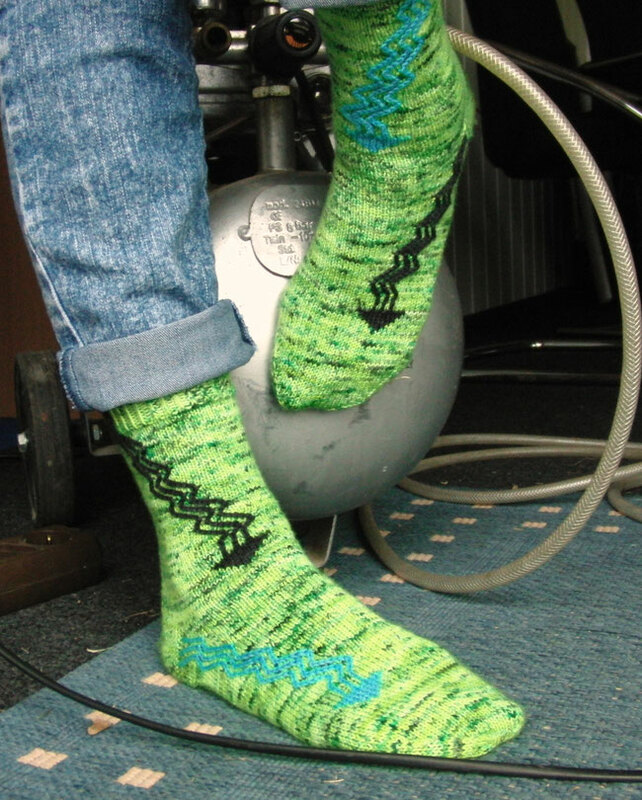 For these socks, I used yarn sets with 100g of speckled yarn (MC) and two matching mini skeins of 10g each (CC1 and CC2). The pattern is available for download at Knitty, here. I hope you'll enjoy the patter as much as I did designing it and I can't wait to see your High Voltage version.